I am loving this season's trend of brightly-hued bottoms. 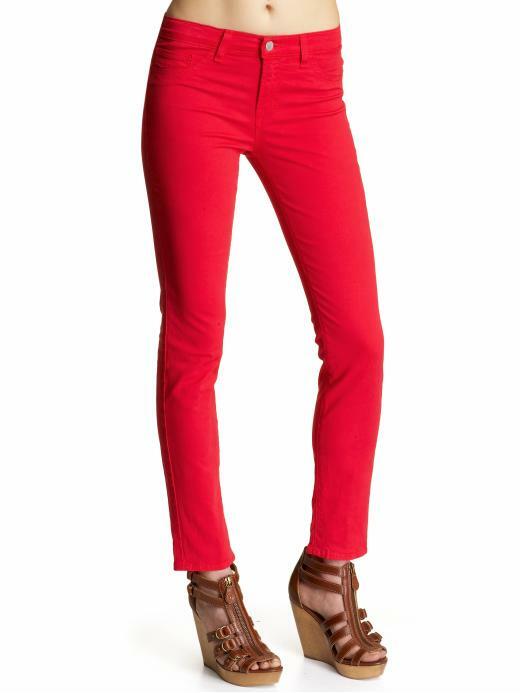 What I really love is the skinny from J Brand in essentially the entire crayon box of colors. First it was the primary colors, and now we're on to the softer, almost pastel tones. This isn't a trend I would have tried a few years ago, but I love it now, and I think anyone can do it-it's just a matter of styling. It's such a happy, fun trend. If you want to give it a try, the girls at Gena Chandler in Raleigh have informed me that they're getting every color you can imagine. Give them a call to reserve a pair! Phenomenal Blog! I should thank for the endeavors you've produced in composing this post. I'm trusting the exact same best work from you down the road too. which is really a immature share of the issues many people unrecorded with sect now, but but making improved lives for group that's direction on feat them much , keeping them punter aid and making certain their kids get enlightened.